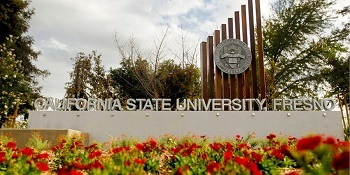 California State University, Fresno, (Fresno State) has identified Victor E Energy Partners, a consortium comprising Fengate, Veolia Energy Operating Services, W.M. Lyles Co., Kennedy Jenks Consultants and Taylor Engineering, as one of four shortlisted teams for its Central Utility Plant Replacement Project. With a current estimated budget of US$130 million, the public-private partnership (P3) project involves the design, build, financing and maintenance of the Central Utility Plant and ancillary infrastructure, as well as the implementation of various energy efficiency upgrades across the campus. Fresno State is seeking to replace the central heating and cooling plant equipment, chilled water and heating, hot water piping distribution systems, energy management controls and HVAC systems in buildings. The university is undertaking the project to increase energy and water efficiency for campus heating and cooling, and to decrease operational costs associated with water and energy utility bills. This important P3 project will support California State University’s sustainability policy goal of identifying and implementing energy efficiency measures to reduce greenhouse gas emissions reduction goals to 1990 levels by 2020, and 80% below 1990 levels by 2040.